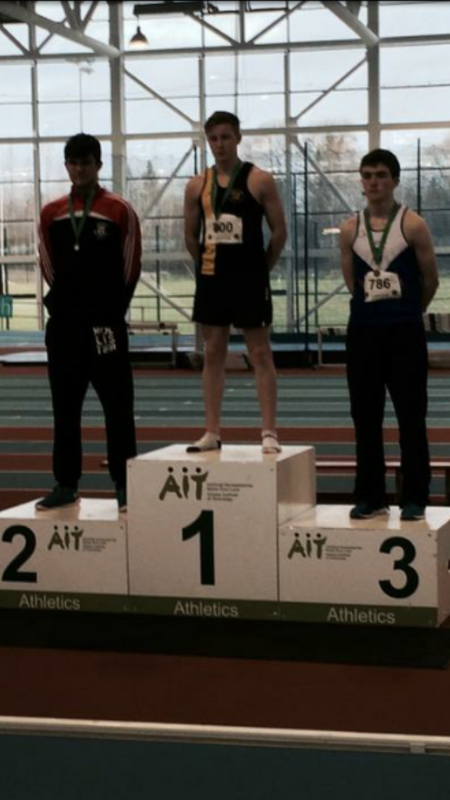 This weekend was a particularly busy one for our middle distance group. 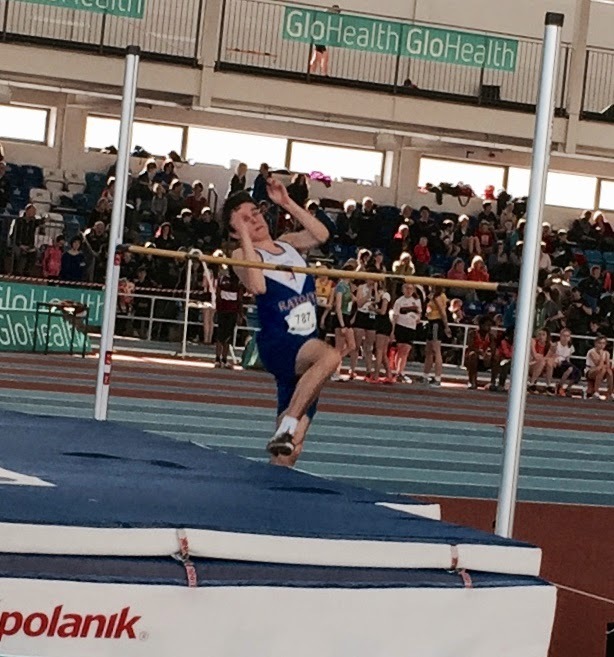 Conditions were extremely blustery for the Glohealth schools All Ireland held in Clongowes Wood college. We had a small contingent of four competing and they all ran superbly. In the senior girls 2500m, Deirdre Healy went to the front with Rhona Pierce and Hope Saunders almost from the gun and was only out- sprinted for the bronze in the final 200m by the fast finishing Clodagh Reilly and Orlaith Moynihan. Philip Marron was in contention for a place on the Irish boys intermediate team for most of the 5K race but in the end he had to settle for 15th in what was probably the most keenly contested race of the day. Karen Hayes (32nd) and Maria Rogers (93rd) competed in their first schools All Ireland and both had fine runs and look destined to challenge even the great Deirdre Healy in the not too distant future. 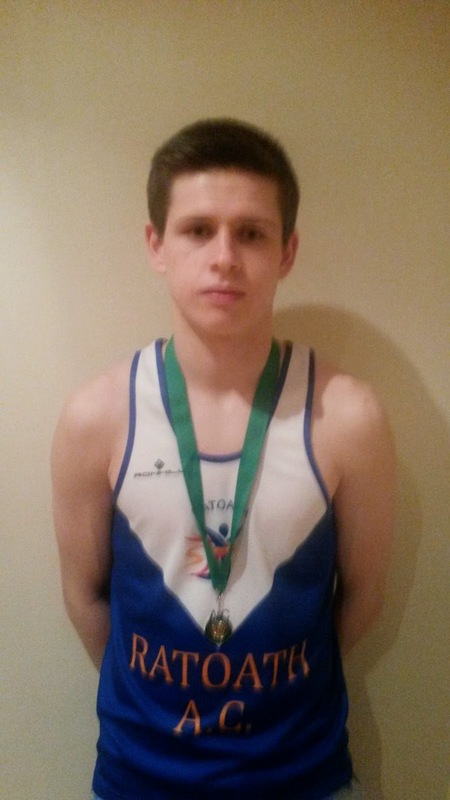 At the Leinster juvenile indoor championships, Ciaran Mccarthy won his first Leinster title when taking gold in the u 19 800m posting a new PB of 2 mins 4.30 sec with a withering sprint over the final 50m, Brian Kiernan was another to produce the goods, taking the bronze with a swift 23.57 sec clocking in the u 17 200m while Eoin Clayton also matched his PB with a 1.55m jump in the u 18 boys HJ which suggests there is a big season ahead for him.